The Ravinia Festival is North America’s longest running outdoor festival in Chicago. The quality of music from Ravinia over the years has featured some of the greatest musicians known to man. From this festival has emerged the Steans Music Institute, a summer conservatory that is not only a quality training program for aspiring classical and jazz musicians, but it also brings together talented fellows from around the world. iRJ had the pleasure of speaking with Anthony Roberts, the Director of the Steans Music Institute, about the origins of the institute and the selection process, the institute’s importance to the Ravinia Festival, and future goals of the institute. iRJ: How did the Ravinia’s Steans Music Institute get its name? AR: It started in the 70’s. Edward Gordon was the Executive Director of the Ravinia Festival. He had this idea to start a musical training program. He started building support among the board members and raising money. It opened in 1988. 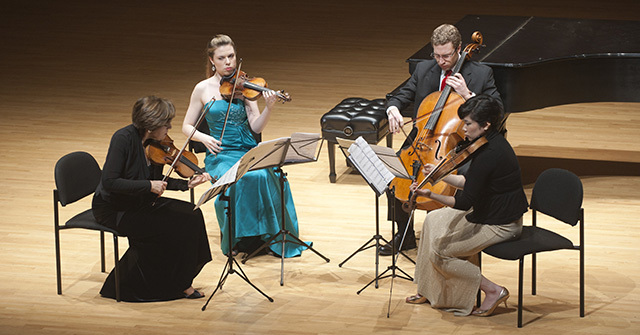 At first it was a chamber music program (Program for piano and strings). That’s our oldest, largest, and longest program that we run. We also have a program for singers, which focuses on art song, and the program for jazz. The institute started as a gift of endowment from Harrison Steans in honor of his wife Lois. Harrison and Lois Steans are both life trustees of the Ravinia Festival. They are both still very involved and attend concerts at the institute that bears their name. In 1992, they added the singer program, which was followed by the jazz program in the year 2000. The jazz program is headed up by David Baker from Indiana University. 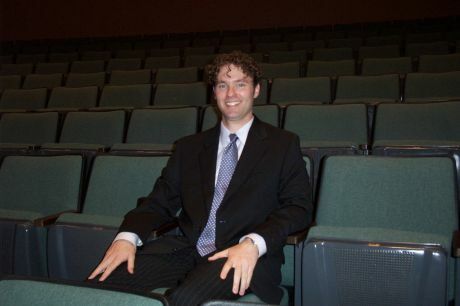 He has been the program director for the duration of the jazz program. iRJ: How are the fellows selected? AR: For the jazz program, we have no auditions, participation is by invitation only. David Baker (program director), Rufus Reed (bassist), Curtis Fuller (trombonist), and Nathan Davis (saxophonist) are our faculty on staff for the jazz program. In their travels from teaching and playing, they make a note of any young musicians that catch their ear. The final invitation list is made by David Baker. They pick three drummers, three bass players, three pianists, and six horn players. That makes it easy to put them in three quintets. iRJ: Is there a cost to the fellows? AR: There is no cost at all to the fellows. We are very proud of that because that’s what keeps the level so high. There is no financial impediment to participating in our program. If you are good enough to be selected, then we want to make it as easy as possible for you. We don’t pay for their travel to get here, but once they get to Chicago, we pick them up from O’Hare and take care of them from there. We provide all of their meals and housing. There is no tuition. We pay everything for them so all they have to do is focus on music. iRJ: Why is the Steans Music Institute important to the Ravinia Festival? AR: It is important because we feel that we have an opportunity and responsibility to the next generation of musicians. They get such an intense experience here. There are certainly other programs of this kind throughout the U.S. and world, but ours is so intimate and selective. There are only 15 people in the jazz program, 30 people for the piano and strings program, and 15 people for the singers program. All three of the programs are small, intimate, and very intense. But that’s what they want to be doing. We actually prefer to use the word fellows instead of students. To use the word student, doesn’t really reflect the high level of musicality that goes on here. We used to use the words “young artist”, but to the general public, it implied 10 year olds playing. There’s nothing wrong with that, but it’s not indicative of what we are doing here. The average age of our fellows is around 20. We actually changed the name from The Steans Institute for Young Artists to The Steans Institute for Music. We think that has helped raise the profile and draw a bigger audience. The music that our fellows are making on stage is really terrific. The jazz guys are only here for a week, but in that week, they are able to put together an amazing concert. We have 15 people in the program and we split them up into three quintets. They are writing their own charts and putting everything together from scratch within that week. The level of musicality and polish they put on it is really mind boggling to me as an amateur musician. I’m always amazed. iRJ: Can you tell us about the jazz performances for this year (2014)? AR: At 6:00 P.M. (CST) on Friday, June 20th at Bennett Gordon Hall here at Ravinia, we will have the culminating program for jazz called the Jazz Grandstand. The faculty puts the fellows into their quintets and will select the pieces of original music that they have been working on for that week. Generally, every fellow gets to have at least one original piece included in the concert. iRJ: Who are some of the most notable fellows to come out of Ravinia in the last ten years? AR: From the jazz program, we have saxophonist Grace Kelly, who’s doing pretty well in Boston. I happened to be in Boston for our chamber music tour that we do every spring and I saw a magazine (Where- Boston) in my hotel room and on the cover was Grace Kelly. We have people doing well all over. Do you provide any additional support to the fellows after the program? AR: There’s nothing specific that we provide after the program. But once they have been here, they are family to us. We do our best to keep in touch with them and provide any support we can. If they are performing in Chicago, then I love to go see them and stay in touch that way. On occasion, we’ll have some alumni back to perform at Ravinia, which is always fun. Last summer was the 25th anniversary of the program. We celebrated all summer long. One of the things we did was to invite an alumni quintet to open for Ramsey Lewis and Natalie Cole on the Pavilion stage, which was really beautiful. They knocked it out of the park. They were terrific. iRJ: Are there any plans to do any live recordings featuring your alumni? AR: We don’t have any such plans at the moment, although we do record both audio and video for all of our concerts. They use these recordings to listen and learn while they sit with faculty. They also have a polished concert recording at the end, which they can use for auditions or general marketing of their own careers. They can put it on their websites or YouTube. Here at Ravinia, we are using those same videos for the marketing of our school on our website. We are working on having online live streaming of our concerts. We may have it soon for our June 20th concert, but if not, then we will have it next year. This is great, because we have had fellows that represent 65 countries over the course of our program. So if we can put those concerts live online, then grandparents back in Korea can watch them perform live, which is really exciting. iRJ: What are the short term goals of the Steans Music Institute moving forward? AR: Every year we want to give the best experience to the fellows that we have here. We want to give them an intense and inspiring experience that’s going to propel them into their music careers. We like to think of our institute as a bridge between the college conservatory experience and the professional stage. Many of the fellows are still undergraduates, graduates, or they are out of graduate school. We want to give them the final moment of their training, so that they are ready to step onto the stage in a professional way. We want them to be able to make music for the rest of their lives and do it professionally. The faculty here likes to think of RSMI as a finishing school. They find people in other programs that they are participating in and pick those people that they feel have the best shot at a full scale career.